If you feel like you need a strong female character fix every week, and struggle to wait until the end of every month when DC and Marvel’s waves of female lead books hit, do I have a treat for you. 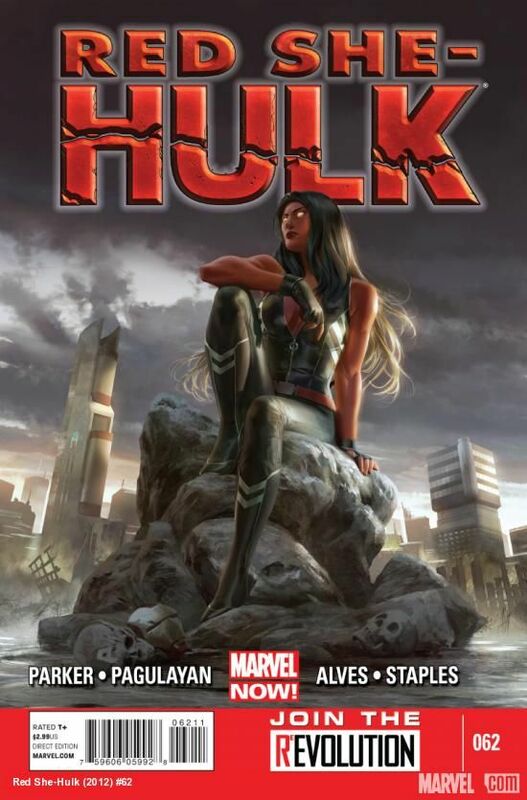 There is a book that has been flying under the radar for you to check out: Red She-Hulk. This title was a continuation of the Red Hulk storyline but with Betty Ross taking over on issue #59. 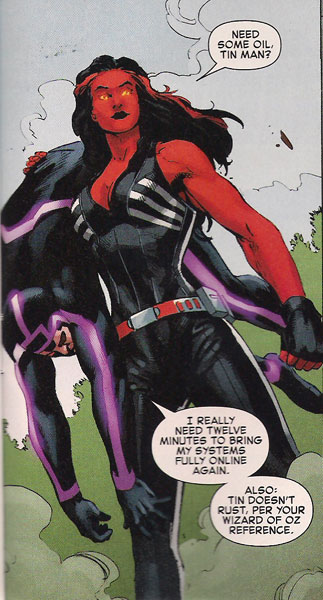 (Betty Ross is the love of Bruce Banner’s life who is exposed to her own radiation dose that turns her red at the most inopportune times.) The latest issue features a beautiful cover by Jana Schirmer. Since that time, she has continued to evade the law, run around with an android and generally try to stop a foretold apocalypse at the hands of scientifically engineered meta-humans. The beginnings of Betty’s run on this series have been tough. This isn’t just a misunderstanding with the law. They turn her quickly into a murderer. True, it was more manslaughter… however it’s hard to get behind a hero who starts off killing people, even if those people were intent on hurting others. Since then, the larger revelations of the pitfalls of the program she is attempting to shut down raise many questions about the knowledge gained from time-travel/fortune telling. Do you make your own future, can you change the future, or does seeing the future make that future happen? The layers of science fiction that are embedded into the story are rich and interesting. It also doesn’t help that her main wing-man is Machine Man himself. This supposedly unfeeling observer makes a judgement call that has since lead to some moments that I will never forget. It’s panels like these that make this book worth reading. Betty is decisive, and despite being haunted by her actions, knows what she must do. There has already been a moment of “pure Hulk” rage for Betty (issue #61.) Needless to say, it is rather intimating, in the most fun way possible. Jeff Parker writes a lead that is strong and decisive. She is for the greater good first and does not use her sexuality as a weapon, but goes about her hero business. You could see this same story playing out for the Red-Hulk or Hulk just as much as Betty. That is what makes this book so great. 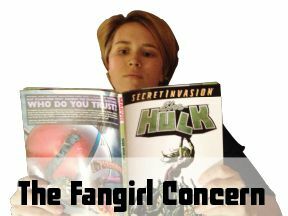 It doesn’t hurt that there is a new cameo (Jennifer Walters, She-Hulk herself!) 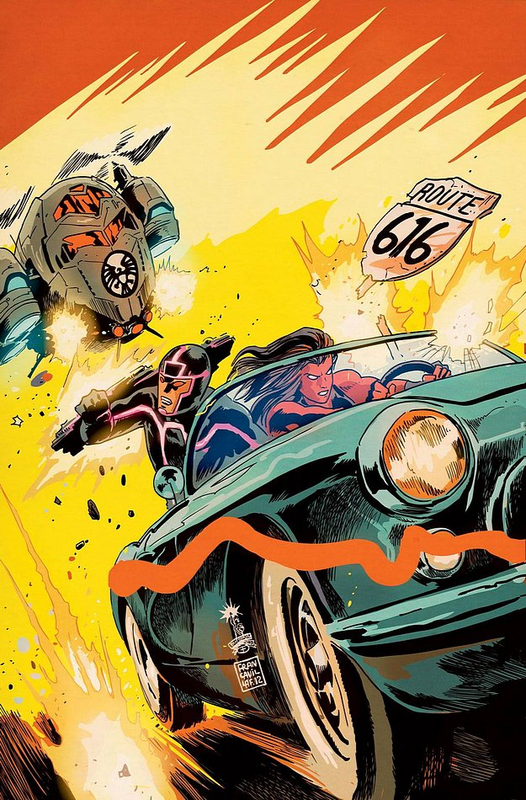 that the end of issue #62 that makes you want to see what will happen next. So, if you are holding your breath for Captain Marvel, if you can’t wait for Batgirl, or you just don’t know if waiting for Fearless Defenders, Wonder Woman, Supergirl, Birds of Prey or any other big two female team book will work, then see if Betty will have you seeing Red this Wednesday. Issue #63 hits the comic shelves this Wednesday, March 6, 2013.